In another instance of Dhoni exhibiting his softer side, the CSK captain took some time out of a busy schedule to meet a an elderly fan, who was accompanied by a younger woman, at the Wankhede Stadium after the match. 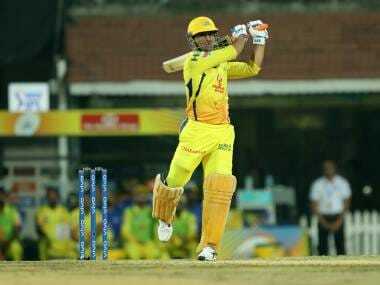 MS Dhoni did not emerge the winning captain in the high-profile Indian Premier League (IPL) encounter between Chennai Super Kings (CSK) and hosts Mumbai Indians (MI) at the Wankhede Stadium on Wednesday. However, he continues to win hearts, both for his on-field performances as well as off-field gestures. In another instance of Dhoni exhibiting his softer side, the CSK captain took some time out of a busy schedule to meet a an elderly fan, who was accompanied by a younger woman, at the Wankhede Stadium after the match. Dhoni was seen taking selfies and chatting with the pair, before signing a CSK jersey for them, in a video posted on the official IPL Twitter account. In a recent one-dayer against Australia at the VCA Stadium in Nagpur, Dhoni was seen sprinting across the ground with a fan on his heels, allowing the latter give him a hug only after a frolic chase, before security officials arrived and whisked the intruder away. A similar incident took place during a CSK practice session at the MA Chidambaram Stadium. The former India captain is said to be calling his time in international cricket at the conclusion of the upcoming World Cup in the UK. Having retired from the Test format back in 2014, the veteran wicket-keeper-batsman currently plies his trade in the white-ball formats. 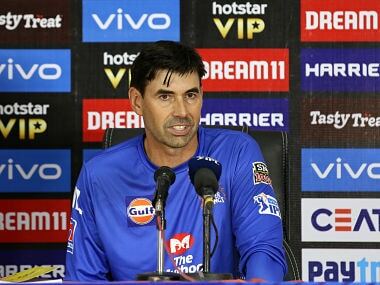 MI halted CSK's three-match winning run with a 37-run victory at the Wankhede Stadium on Wednesday, dislodging the defending champions from their perch atop the points table. 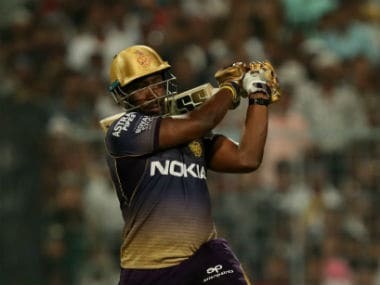 The victory gave the Rohit Sharma-led Mumbai side their second win of the tournament, and the three-time title winners are now level with Delhi Capitals on four points.